Guitar Center's "On-Stage: Jane's Addiction"
Perry Farrell. Dave Navarro. Stephen Perkins. Warming up the crowd for the rock legends of Jane's Addiction is an honor in and of itself. But for you, we're offering an overdose of awesome with an even bigger prize package. Enter the Guitar Center On-Stage: Jane's Addiction Competition and not only could you win three opening slots on the Jane's Addiction summer tour, you could also win $20,000 in new gear from Gibson and Epiphone, a $10,000 Guitar Center shopping spree, and a mentoring session with Prospect Park, the management team behind Jane's Addiction. Know that song you wrote, the crowd pleaser? Upload it by July 31 and compete to win fame, glory, and some sweet new gear. Artist submissions begin on June 1 and will only be eligible for submission until July 31, 2011, so don't miss this incredible opportunity. In September 2011, an expert panel of judges will select one winner to receive the Grand Prize from among the Top 100 ranked entries*. Artists must be eighteen (18) years of age or older at the time of entry. Individual artists or a band member must be a legal resident of the forty-eight (48) Contiguous United States. An artist may submit only one unique track into the Guitar Center "On-Stage: Jane's Addiction" Competition Music Channel. 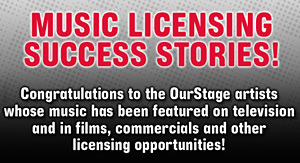 To learn more about the Competition prize, or answer additional questions visit the OurStage FAQs for more details.